Top Bar Hive Build Completed! 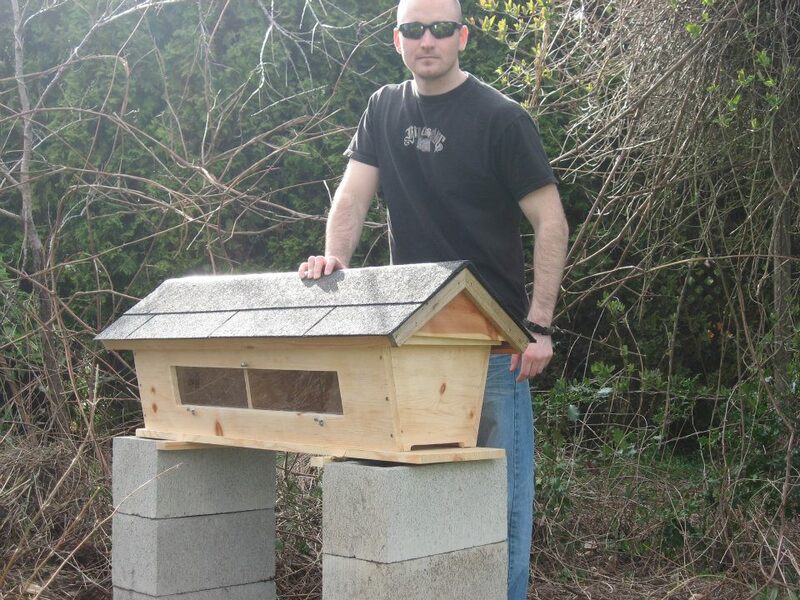 This is me with the Top Bar Bee Hive that my father and I built. It will house about 10,000 Italian Honeybees which will arrive early April 2012 just in time for spring. The purpose of the hive is to pollinate the fruit trees and plants in the area. It will also be a source of honey and wax for my family. Bees are responsible for pollinating 1/3 of our agricultural food supply in the U.S. but have recently become more scarce due to a disease known as Colony Collapse Disorder.